You no longer have to spend hours in the kitchen to eat healthy, delicious meals. Nowadays, you can order your food from meal delivery services and enjoy high-quality meals at affordable prices. Not sure whether Yumble or Paleo Power Meals can better meet your needs? This Yumble VS Paleo Power Meals comparison can help you make an informed decision! 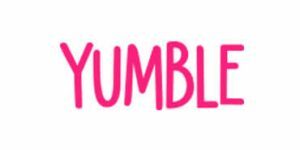 Yumble offers organic, allergy-friendly, ready-to-eat meals for children aged 1 to 12, available within customizable, budget-friendly meal plans. Yumble features one menu for its patrons to choose from. Yumble has around 20 recipes on its menu. Yumble offers organic lunches, dinners, and snacks that can double as healthy breakfasts. The meals are designed with the nutritional needs and tastes of children in mind and include omnivore, vegetarian, egg-free, gluten-free, and dairy-free meals, as well as meals free from tree nuts, peanuts, and coconuts. Most meals include an entree, grains, and vegetables and they occasionally feature a dipping sauce. Yumble exclusively uses clean, natural, and organic ingredients that are farm-fresh and locally sourced. The meat is always free from antibiotics and hormones. All meals are free from preservatives and refined sugars. Yumble bases serving sizes on the recommendations of the American Academy of Pediatrics and makes sure that all of its meals are nutritionally balanced and nutrient-dense in order to adequately support your child’s development. If you are ordering for a child over the age of 12, you may need to increase the number of meals/portions per week. With Yumble, you can make changes to your order, skip a week or pause/cancel your subscription at any time. The weekly cutoff day for editing your order is Wednesday at noon EST. For any information about refunds, you should contact Yumble directly. Yumble is such a scam. My kids didn’t like the foods (I don’t blame them), and I canceled after two weeks. Apparently if you cancel with a reason of “picky eater”, you have to also “opt out” of their “picky eater club” offer. This is not obvious and now I was just sent more gross food, and my concern about getting a refund is going unanswered. Do not recommend! I’m not a good cook, my wife works long hours, and our twins are hungry every 2 hours. Yumble has really made things so much easier. The boys love the meals and they are happy they no longer have to put up with my lousy cooking, ha ha :smile: Plus, it’s really cheap, I couldn’t make anything nearly as delicious and healthy for that kind of money. 5 out of 5! I bought this product seeking to avoid the typical frozen meal I can get in any supermarket for 5 dls but that was exactly what I received from Yumble. I think they spend too much on kid engagement with useless fictional characters and toys and too little on real healthy food. I'm trying to cancel my subscription at this moment. Yumble Kids is a meal delivery for children designed to make it easier to get your little ones to eat only what is perfectly good for them. You can choose from nearly 2 dozen healthy and delicious Yumble meals every week and customize your orders in accordance with your child’s dietary restrictions. For more useful details, read our Yumble Kids review.